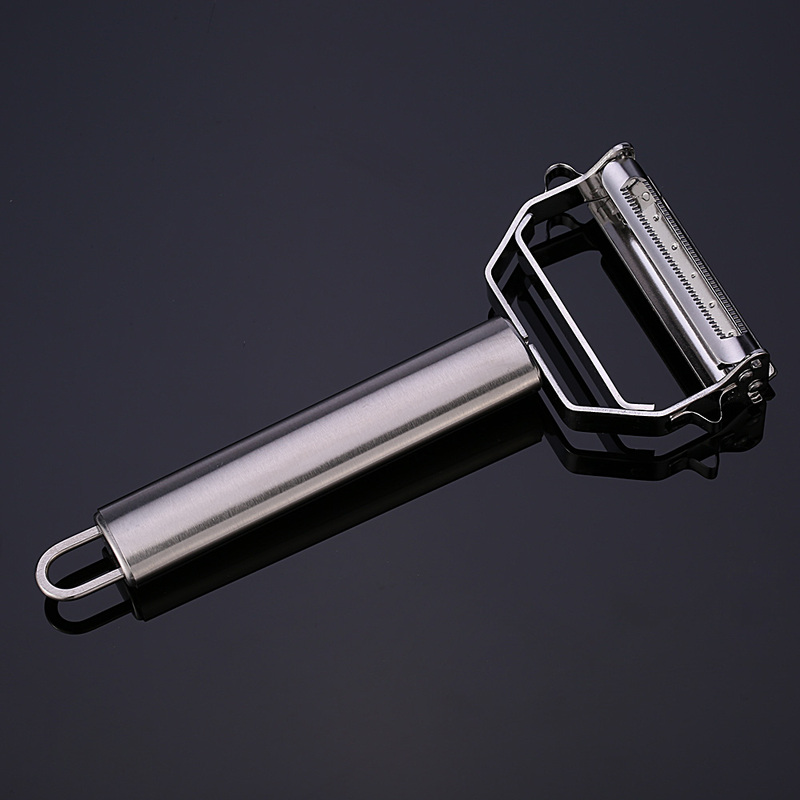 This stainless steel peeler is a necessary tool for kitchen use. 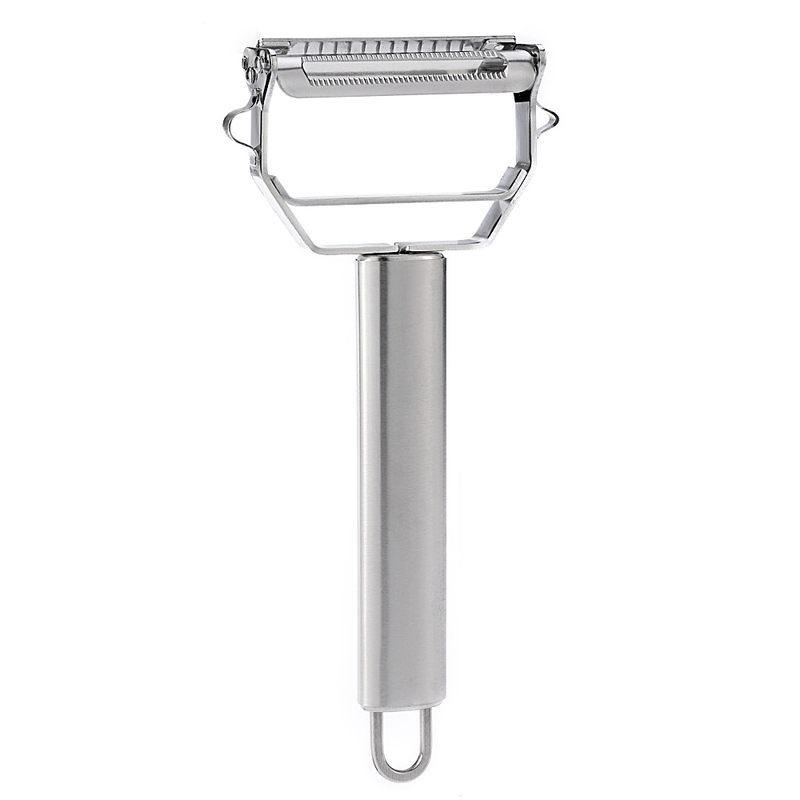 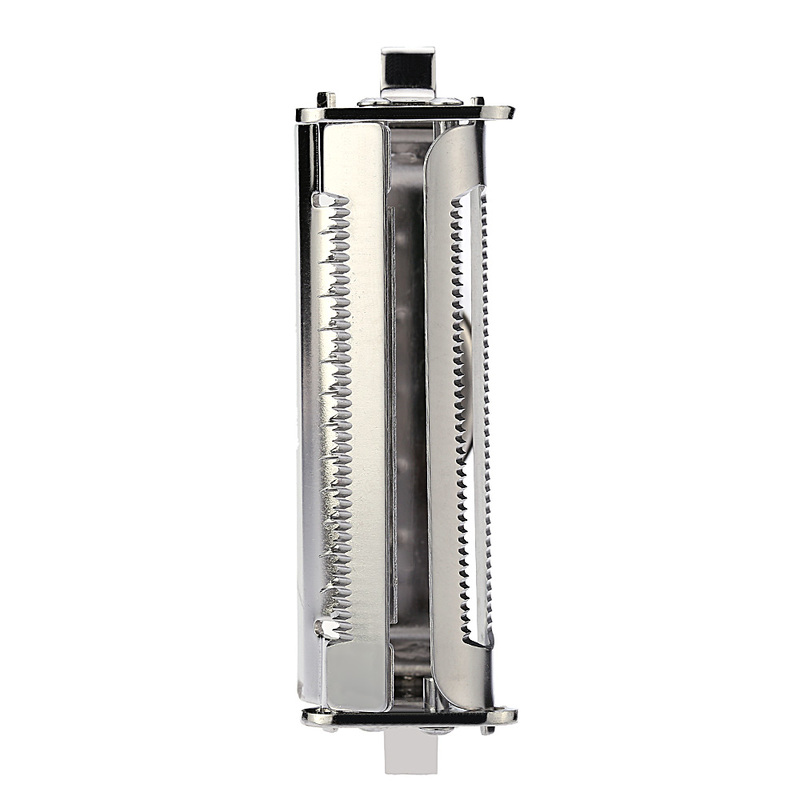 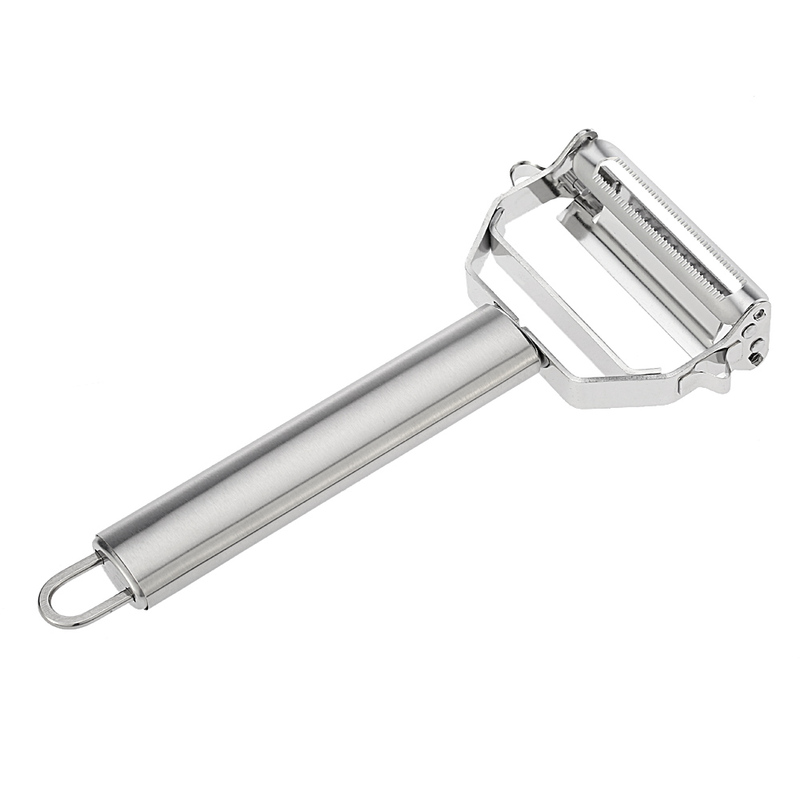 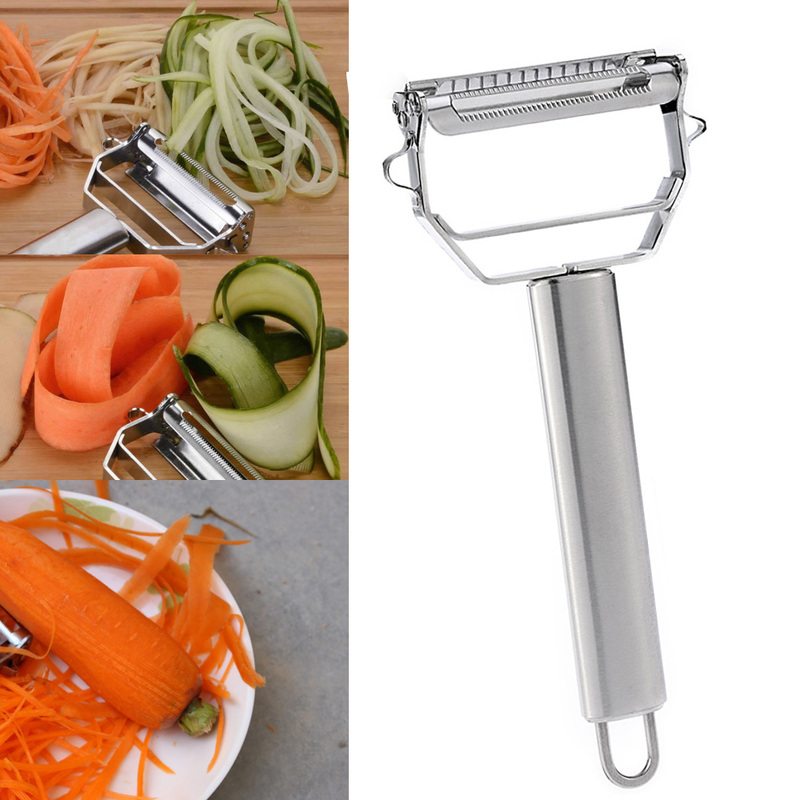 Versatile double sided peeler head, peel with one side, julienne with the other side. 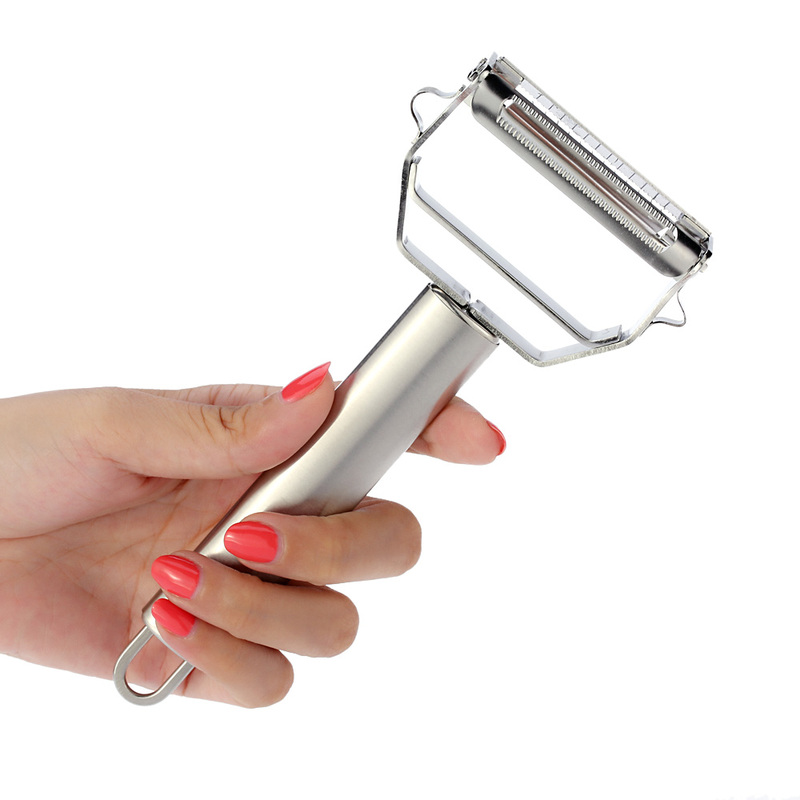 This peeler with sharp blade for easy and efficient peeling. 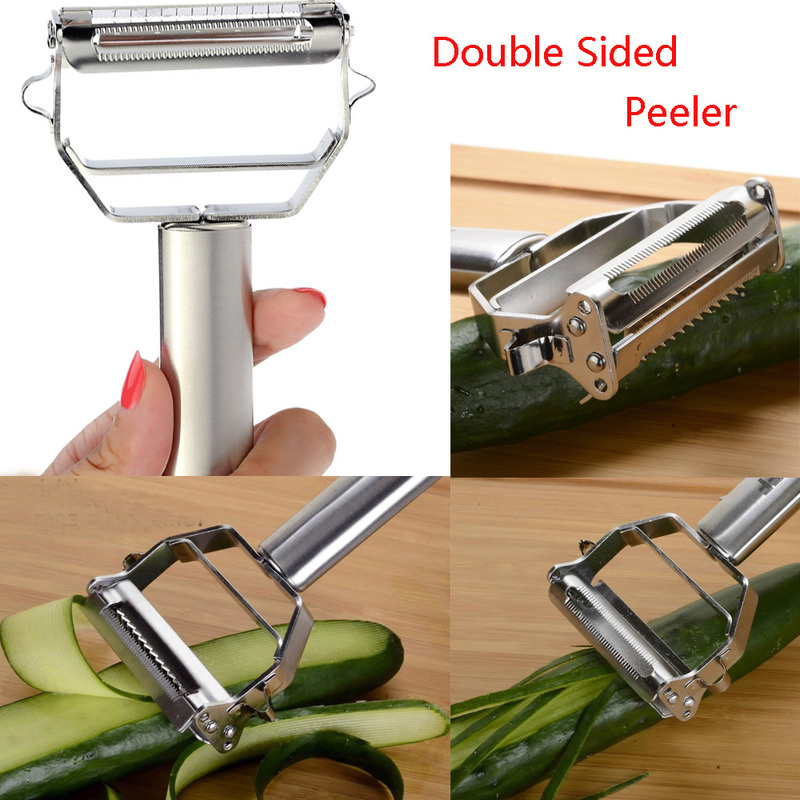 Versatile double sided peeler head, peel with one side, julienne with the other side. 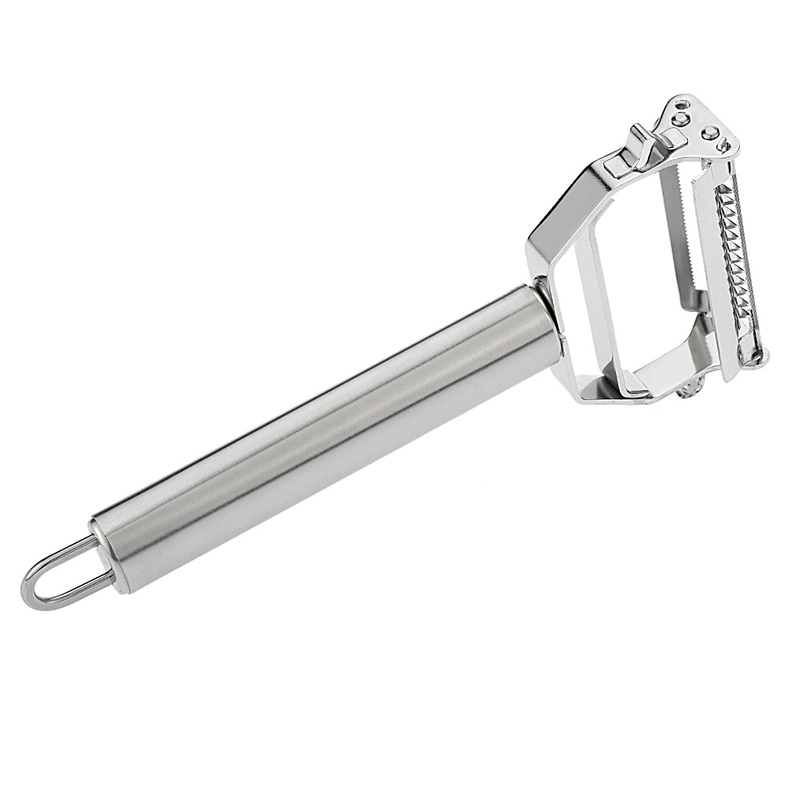 Made of high quality stainless steel, durable to use. 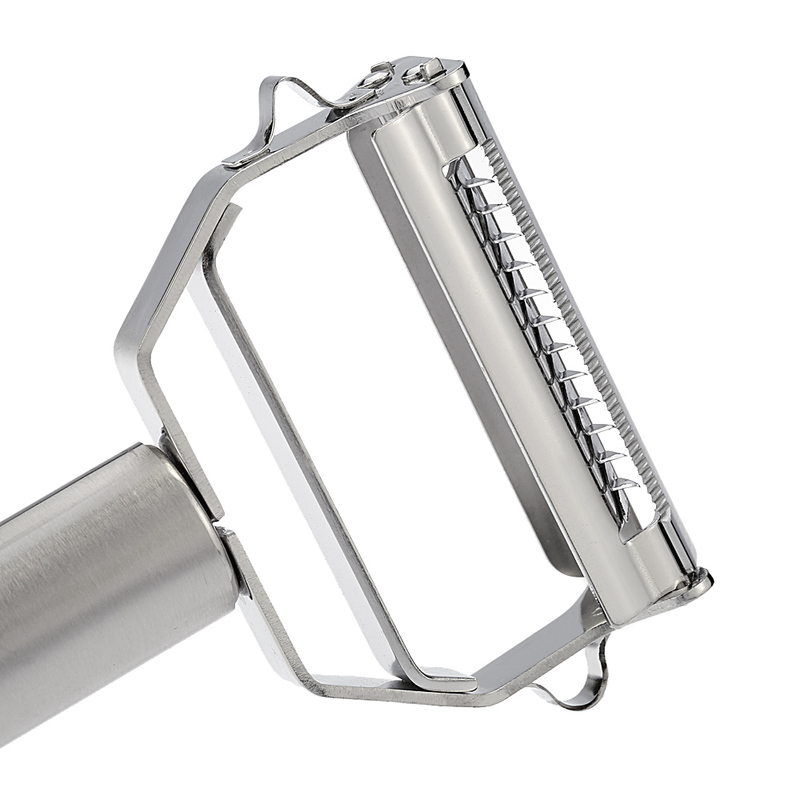 The loop on the bottom is convenient for hanging. 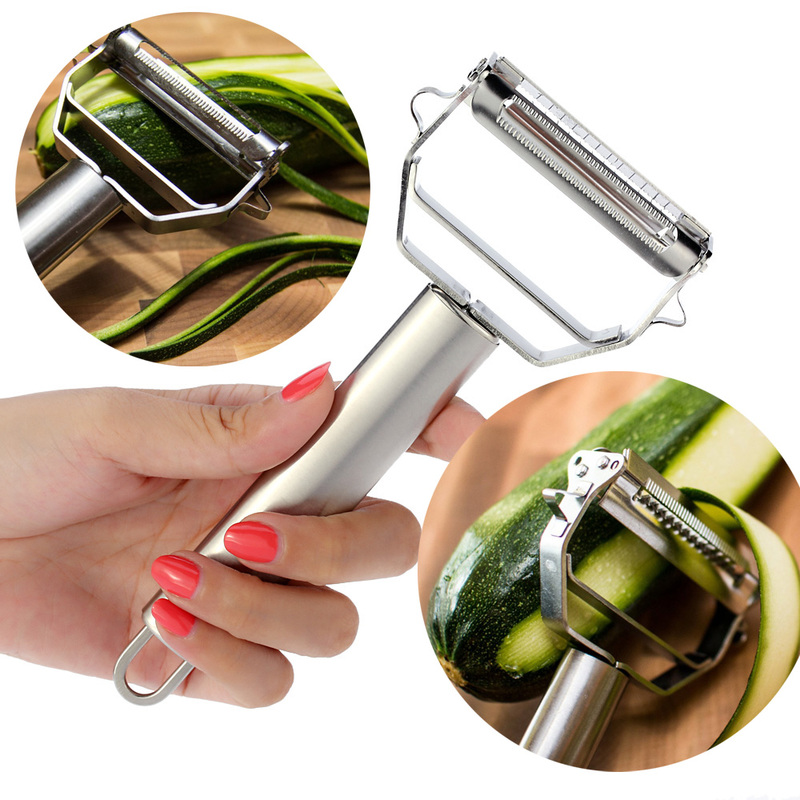 Suitable for peeling potato, carrot, cucumber, apple, etc.